Add accents of luxurious glitter to your designs with the 1/20 14K rose gold-filled 6mm stardust round bead. This bead is perfectly round in shape and the surface is textured as if it were covered in glitter. It sparkles with coppery color full of luxury. Use it to dress up classic looks or try it in more contemporary designs. It would work well with copper components or other rose gold components. This bead features a versatile size that you can use in necklaces, bracelets and earrings. The stardust stripes on this bead add a glittering effect to its appearance. This shiny gold bead features a 2.2mm hole, making it an excellent choice for use with our 2mm bracelets and necklaces. Try mixing a few of these beads with other large-hole beads to create a stunning design. This bead is lightweight and could also be used for earrings. You can enhance designs with sparkling color using the 1/20 14K rose gold-filled 4mm stardust roundel bead. This bead features a classic roundel shape that will add a thin band of color to your designs. The surface is textured, appearing as if it is covered in glitter. It shines with a blushing copper glow tinged with gold. Try using this bead with copper components or other rose gold components. This bead is small in size, making it excellent for use as a spacer. 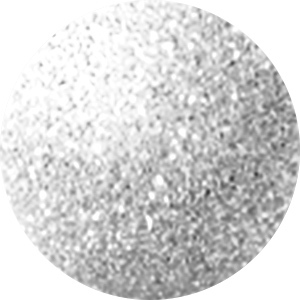 You'll love bringing beautiful glitter to your jewelry designs with this stardust roundel bead. This bead features a ring-like shape that makes for an excellent spacer. Use it between larger round beads or layer it with other spacers for a fun effect. This bead features a stardust texture that shines and sparkles wonderfully in the light. You can use this small bead almost anywhere. The brilliant silver color is sure to pair well with any color palette you may have in mind. Stand out with sparkle in your designs using the 1/20 14K rose gold-filled 8mm stardust round bead. This bead is perfectly round in shape and the surface is textured as if it were covered in glitter. It sparkles with coppery color full of luxury. Use it to dress up classic looks or try it in more contemporary designs. It would work well with copper components or other rose gold components. This bead is the perfect size for use in matching necklace and bracelet sets. This lovely stardust bead is a delightful accent to add to fancy jewelry designs. The texturing on the bead makes it glitter in the light. Add it to jewelry designs as a fun spacer bead. You can also string it onto a head pin with Swarovski crystal beads for a fun dangly pair of earrings. It is versatile in size, so you can use it in necklaces, bracelets, and earrings. It features a luxurious golden color full of warm beauty. Sprinkle beautiful shine and texture into your jewelry designs with this sterling silver stardust bead. This bead features a classic round shape that will work with any style. The surface of the bead features a glittering stardust texture that shines wonderfully. This bead is small in size, so you can use it as a spacer or as a pop of shine wherever you need it. The wide stringing hole will work with thicker stringing materials. This bead features a beautiful silver shine that will work with any color palette. Create a dazzling look with this gold-filled stardust bead. This bead features a classic round shape that will work with any style. The surface of the bead features a glittering stardust texture that shines wonderfully. This bead is versatile in size, so you can use it in necklaces, bracelets, and earrings. The wide stringing hole will work with thicker stringing materials. This bead features a regal golden shine that will work well with classic color palettes. Add this stardust bead to your designs for a classy, fashionable look. Each stripe on this shiny silver bead glitters as it catches the light. With its 2.2mm hole size, this bead is ideal for our 2mm bracelets and necklaces. Try mixing a few of these beads with other large-hole beads to create a stunning design. This bead is lightweight and could also be used for earrings. This beautiful stardust bead is a delightful accent to add to fancy jewelry designs. The texturing on the bead makes it glitter in the light. It features a bold size, so you can showcase it in long necklace strands or add it to a bold bracelet. It displays a beautiful golden shine full of regal beauty. The texturing on this gold-filled bead makes it sparkle as if it were covered in glitter. The manufacturing process leaves this bead without any distracting lines. Try it in your designs to complement everything from pastels to jewel tones. This bead would go equally well with polished gemstones or Swarovski crystal beads. Sprinkle beautiful shine and texture into your jewelry designs with this sterling silver stardust bead. This bead features a classic round shape that will work with any style. The surface of the bead features a glittering stardust texture that shines wonderfully. This bead is versatile in size, so you can use it in necklaces, bracelets, and earrings. The wide stringing hole will work with thicker stringing materials. This bead features a beautiful silver shine that will work with any color palette. This lovely stardust bead is a delightful accent to add to fancy jewelry designs. The texturing on the bead makes it glitter in the light. Add it to jewelry designs as a fun spacer bead. You can also string it onto a head pin with Swarovski crystal beads for a fun dangly pair of earrings. It is versatile in size, so you can use it in necklaces, bracelets, and earrings. It features a versatile silver shine. The rough texture on this 5mm stardust laser cut sterling silver roundel makes it appear to be covered in silver glitter. Add this bead wherever you want to achieve a classy look. You can mix it with Swarovski crystal or Venetian glass beads. Try it on earrings or use it as part of a dangle on a bracelet or necklace. Unlike silver-plated beads, 0.925 sterling silver won't chip off, which means it lasts longer. Create a dazzling look with this sterling silver stardust bead. This bead features a classic round shape that will work with any style. The surface of the bead features a glittering stardust texture that shines wonderfully. This bead is versatile in size, so you can use it in necklaces, bracelets, and earrings. The wide stringing hole will work with thicker stringing materials. This bead features a beautiful silver shine that will work with any color palette. Delight onlookers with this eye-catching 7mm gold-filled round stardust bead. The stardust finish adds interest by providing the bead with a fine-textured shine. You can add this bead to necklaces or bracelets to enhance the quality of their appearance. Try several of these beads with Swarovski crystal and black agate for a mixture of sparkle and shine that is sure to impress your friends. This stardust bead is laser cut to create a pave style finish. The result is a beautiful sparkle instead of a uniform shine. Try this stardust roundel bead to frame colorful crystal or glass beads in a pair of earrings or in a bracelet design. You can also use it with other silver components. The versatile coloring will work with any color palette. This bead is versatile in size, so you can use it in necklaces, bracelets, and earrings. This gold-filled stardust bead is a nice size for adding to a variety of designs. The stardust finish provides this bead with a glittering appearance, making it appropriate for fancy jewelry. You can use this bead to complement gold links or clasps or try using several in one piece as the main element of your design. Try mixing this bead with Siam Swarovski crystal beads or rutilated quartz. Make your designs sparkle with the 1/20 14K rose gold-filled 4mm stardust round bead. This bead is perfectly round in shape and the surface is textured as if it were covered in glitter. It sparkles with coppery color full of luxury. Use it to dress up classic looks or try it in more contemporary designs. It would work well with copper components or other rose gold components. This bead features a small size, making it perfect for use as a spacer or as a touch of color in earring designs.